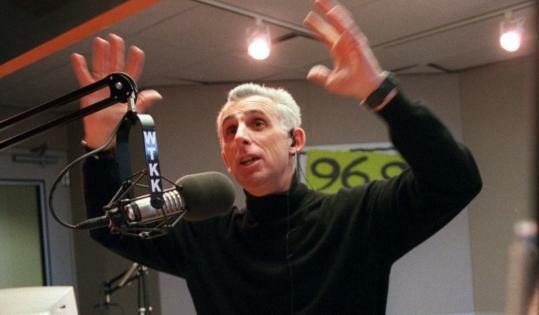 Jay Severin, the fiery right wing talk show host on Boston's WTKK-FM radio station, was suspended yesterday after calling Mexican immigrants "criminaliens," "primitives," "leeches," and exporters of "women with mustaches and VD," among other incendiary comments. Heidi Raphael, a spokeswoman for the station, said Severin had been suspended indefinitely from his afternoon drive-time show. She declined to say which of his comments - made since an outbreak of swine flu was linked to Mexico in recent days - sparked the suspension. "I can assure you that the station has not been using the remarks for which he has been suspended in on-air promos," she said, declining to comment further. In an e-mail, Severin, a bombastic voice whose views often mirror those of fringe conservatives and who rarely lacks something to say, referred questions to his lawyer. "I am simply not at liberty to discuss it at this time," he wrote. George Tobia, his lawyer, said it was not clear how long Severin will be on suspension. "All we know is it's indefinite," he said in a telephone interview. "We're just learning of it, and we're dealing with it." Severin's comments sparked deep concern among Mexicans and other Latinos living in the Boston area, prompting what Tobia described as a flood of complaints to station management in recent days. "It would certainly be unfortunate if someone was suspended because some people didn't like what he said," Tobia said. He said he did not know Severin's precise comments. In one of his broadcasts this week, Severin said: "So now, in addition to venereal disease and the other leading exports of Mexico - women with mustaches and VD - now we have swine flu." Later, he described Mexicans as "the world's lowest of primitives." "When we are the magnet for primitives around the world - and it's not the primitives' fault by the way, I'm not blaming them for being primitives - I'm merely observing they're primitive," he said. He added that Mexicans are destroying schools and hospitals in the United States. He also criticized their hygiene. "It's millions of leeches from a primitive country come here to leech off you and, with it, they are ruining the schools, the hospitals, and a lot of life in America," he said. He added: "We should be, if anything, surprised that Mexico has not visited upon us poxes of more various and serious types already, considering the number of criminaliens already here." In a previous broadcast this week, Severin argued that the Obama administration wasn't taking sufficient action to seal the border. "The usual 5,000 criminaliens that come across the Arizona border will probably be 8,000 tonight, and maybe tomorrow it will be 12,000, because even Mexicans are going to be trying to get out of Mexico at a greater rate." Afterward, while talking to a nurse who called his show to complain about healthcare provided to immigrants, he commiserated with her when she said she was glad she didn't work in an emergency room. "Yeah, well, that's become essentially condos for Mexicans," he said. It is not the first time Severin has faced criticism for derogatory comments about minorities on his weekday program. On a 2004 broadcast, he compared US Muslims to a fifth column, and when a caller suggested that the United States should befriend Muslims, Severin responded: "You think we should befriend them; I think we should kill them." He has called former Vice President Al Gore "Al Whore," Secretary of State Hillary Rodham Clinton "a lying [expletive]," and Senator Edward M. Kennedy "a fat piece of lying garbage." Severin has also been criticized over the years for falsely saying that he had won a Pulitzer Prize and that he had earned a master's degree from Boston University. Amparo Anguiano, deputy consul of the Consulate General of Mexico in Boston, called Severin's latest language "hatemongering." "All he does is spread hate," she said. "It's not the first time immigrants have been denigrated unfoundedly for being dirty, uncivilized, and bringing in diseases. There's nothing more to say, other than these statements spread unfounded biases, hate, and prejudice." Marcela Garcia, editor of El Planeta, a Boston-based publication distributed to Latinos throughout the region, said she shudders when she hears Severin on the radio.
" Any time I catch him on the radio, it's aggravating, insulting, and disgusting," she said. "I just can't listen to him. He doesn't just show a lack of respect; he shows a lack of knowledge about what immigration means to this country. What he says just fuels the racist dialogue going on about immigration." Franklin Soults, a spokesman for the Massachusetts Immigrant & Refugee Advocacy Coalition, called Severin's language "dehumanizing." "What he said is just patently offensive," he said. "There has been a huge rise in hate crimes against immigrants, especially Hispanics, and on the show, he doesn't just talk about Mexicans as criminals, he talks about them as if they were animals and should be quarantined. Severin's lawyer said he expects that ultimately, his client will be back on the airways. "I think we're going to sit down with them [station officials] soon and just go forward and put it past us," Tobia said. "I'm confident he'll be back on the air soon, but I don't know when or what the particulars are."